Andy and I have visited Bangkok in Thailand on several occasions, both to specifically stay and explore the city and also whilst en-route to other destinations. We’ve always enjoyed the street food in Bangkok but haven’t sampled it in several years, definitely not since this blog was started. Therefore, I was excited when Jim Liang from Asia Marvels offered to guest post for us to share his in-depth knowledge on the subject. 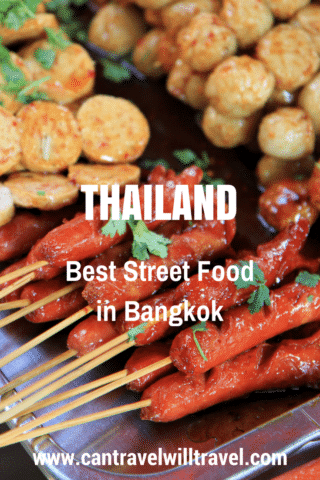 Street food in Bangkok offers delicious and cheap meals for everyone and is perfect for a quick and easy meal in between exploring all the places of interest in Bangkok. This is also considered one of the easiest ways to approach indigenous culture for tourists. However, for those who first come to this dynamic city, they will be a bit unfamiliar. Based on my own experiences, I have put together all the things you need to know about Bangkok street food: the food you are looking for and places to enjoy the best food in Bangkok. Wherever you are in the city, you can also find the colourful culinary booths which become a unique attraction of Bangkok. In the local markets, the booths are grouped together so you can come back here every day and pick new ones daily. Some shops even open all night. Bangkok street food comes in a variety of types. It could be a small trolley on the sidewalk, many booths that combine in local markets or a food shop with tables and chairs on the sidewalk of street vendors. These pavilions usually serve a certain dish and diners can see fresh ingredients and how the food is prepared. Some sellers can speak English but not well. Therefore, I will give you the list of the most popular dishes which have been translated into English. I hope that it will be helpful for you. There are many food eateries in Bangkok that sell a variety of noodles such as chicken noodles, duck noodles, egg noodles with wonton, pork and beef. Each type of noodle has different flavours and sizes. Sen Yai (rice river noodle) – long, straight noodles made from rice flour. Sen Mii (rice vermicelli) – thin, long and dry noodles, made from rice flour. 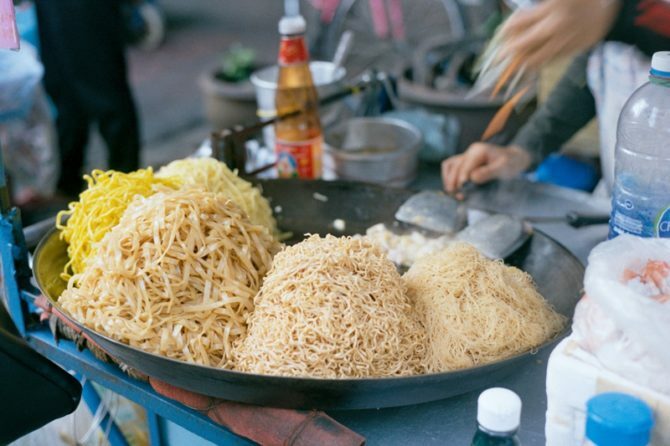 Sen Lek – medium-sized rice noodles. Bah Mii – yellow noodles made from egg and rice flour. Woon Sen – thin, dry, and transparent noodles made from soy flour. Gieow Wonton) – grilled pork wrapped in thin yellow cake. Once you have decided on the type of noodle that you want, you will choose whether you want to enjoy wet noodles or dry noodles. The last step is to choose the type of meat served. Each bowl of noodle is priced from 30 – 80 baht ($1 – $2.50). Street food in Bangkok also has the delicious curry rice. This is also considered the cheapest and most convenient dish in Bangkok. At the booths, the ordering process is simpler and faster than in the noodle booths. Diners just call everything they want to eat, and the food will be out on a tin tray. The price is very reasonable (100 baht or $3). The quail eggs are simply fried, then eaten with special sauce, but the delicious taste of this dish makes many visitors cannot refuse. Price for a box of fried eggs is about 100 baht ($3). Thai fish cake has the featured aroma of curry. Fish is prepared first then the seller often moulds it into a circle and drops it into the pan to fry. Each piece of fish cake is sweet and crunchy and is served with sweet and sour chilli sauce. It attracts many customers. You can enjoy this dish at Pratunam Market or Chatuchak Market. This dish costs 200 baht ($6). In Bangkok, you do not have to visit fast food restaurants to enjoy fried chicken. Instead, you can enjoy this dish right at the street stalls. In particular, visitors can choose the chicken that they want to eat and the sellers will fry it for you. The price ranges from 35 – 100 baht ($1 – $2.90). Som Tam is a Thai style papaya salad with the featured sweet and sour taste of the salad and the spicy taste of most Thai dishes. Som Tam is made from green papaya mixed with dried shrimps, peanuts, chillies, sugar, garlic, lemons, fish sauce, and tomatoes. 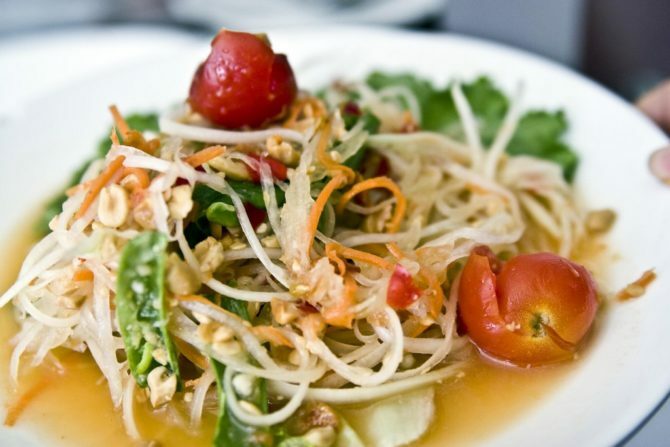 Most visitors coming to Bangkok love Som Tam. It costs 40-50 baht ($1.20 – $1.50). As a very famous dessert dish of Thailand, steamed sticky rice with mango has the main ingredients including ripe mangoes, sticky rice, and coconut milk. Thanks to that, the dishes are colourful and eye-catching to the diners. You can easily find this at the roadside stalls at prices ranging from 60 – 150 baht ($2 – 4.50). Grilled squid is a popular dish that can be found in many major Asian cities like Seoul, Hong Kong, Singapore, Tokyo, and Bangkok. Thai-style grilled squid is processed with the sweetness of squid and slightly spicy chillies that gives the diner a very special feeling. The price for this dish is 23 baht ($0.70). 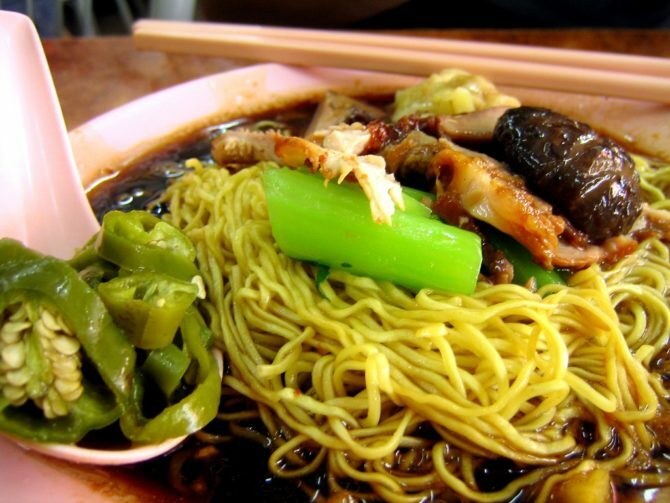 Originated from China and now Wonton Mee is quite popular in Asian countries. Wonton Mee is thick golden sautéed noodles served with steamed, boiled or fried wonton with a little bit of meat, green leafy vegetables, and green onions. The best place to enjoy Wonton Mee is Sukhumvit Soi 38 Food Street. The price of this dish is 50-60 baht ($1.5 – $1.80). Bangkok is also popular with barbecued skewers such as fish balls, sausages, and meatballs etc. You choose and the seller will grill them for you. The skewers often eat with peanut sauce. The price for the skewers is also quite cheap at about 5 baht/ skewer ($0.20). Thai fried eggs are quite sophisticated. The seller puts the meat in the middle of the fried egg and slowly pats the eggs into a square. When the diner enjoys this dish, the seller often uses a knife or scissors to cut into small pieces. Although being quite spicy, the Thai fried egg dish has an eye-catching yellow colour and delicious flavour. It costs 100 baht ($30). Bangkok is famous for its many mouthwatering dishes, but no one would think it would be famous for the crepes – a well-known dessert in France. For only 60 baht ($1.80), you will have a crepe cake with Nutella jam, fresh cream, and fruits. Drinks such as iced coffee, Thai tea, smoothies or carbonated drinks are sold all over the streets of Bangkok for refreshments. Especially, only from 20 to 50 baht ($0.50 – $1.50), you will be able to buy these drinks at the XXL size. 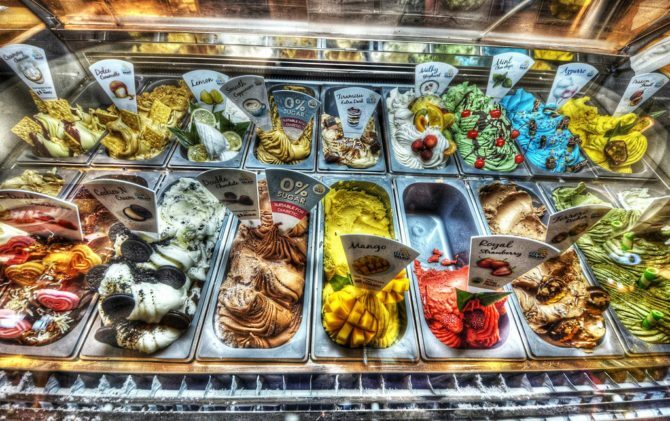 Ice creams of various shapes, sizes and flavours like fruit or chocolate are the ideal choices to fight the heat of Bangkok. The price of each ice cream is about 80 baht ($2.50). Tube Cream – is made simpler and the price is also cheaper than the normal ice cream (about 5 baht or $0.20). Instead of using milk, people use water to make ice cream. Each ice cream is placed in an aluminium tube, dipped in ice to keep the cream cold. There are many different flavours depending on the colour such as orange, strawberry, mint, lemon…for you to choose from. You can find this at Chatuchak Market or along the streets of Bangkok. Icecream Mochi – a variation of mochi, ice-cream mochi has a thin outer shell and the inside of the ice cream is extremely attractive. This dish is sold at Chatuchak weekend market for about 25 baht ($0.80). Coconut Cream – at Chatuchak Weekend Market, you will not be able to miss the coconut cream. This cream is served in a small coconut then covered with peanuts, fresh coconut, and some jellies. This dish attracts customers in the fatty taste of cream mixed with attractive flavour from the other materials. As I said above, diners can find street food everywhere in Bangkok, but there are a number of places that focus on a variety of dishes. As night falls, the main streets of Chinatown begin to light up. The most famous are freshly baked seafood dishes with two restaurants, Lek & Rut and T & K, along Thanon Phadung Dao (Soi Texas). Do not fill your stomach when you just enjoy one place. In order to explore all the street food of Chinatown, you should only eat some dishes and go, just like eating buffet. At first, it is a bit overwhelmed, but after being surrounded by aromatic scent, you will quickly find the joyful feeling. The most popular dishes in the area are dim sum, fried eggs with oysters, roasted chestnuts, cream, fruits, noodles and pepper soup. This is the ancient area of Bangkok with a long-standing immigrant community. These people brought with them their own culture and culinary art on their journey. Over time, these dishes are also in harmony with the traditional Thai food, making the cuisine here richer. The most popular dishes here are the roast duck, crispy pork, porridge, pork dumplings and roti bread served with green curry. Bang Rak is just a small area but there are many different culinary choices. Bangkok Old City has many famous street food restaurants scattered in narrow streets. The most famous one is Pad Thai Thip Samai Restaurant. Old City is not only loved by tourists but also the local people who are very fond of this place to enjoy the delicious Pad Thai (a noodle dish of Thai). Surrounding Khao San Road and Soi Rambuttri, you will find a variety of street food stalls with diverse dishes. Although the food here has been adjusted a bit to fit the foreigners but still does not lose the taste of the dish. The sweat on your back, the pungent air, rickety tables and chairs, but the delicious and cheap food is a dining experience that everyone should experience once in life. You can find street food anywhere in Bangkok as well as at any time of the day. Jim is a writer at Asia Marvels. He loves travelling around Asia and sharing his stories and travel guidelines with his readers. 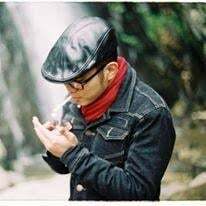 He wants people from all over the world to see the beauty of the landscape, people, and culture of Asia. There are many interesting things waiting for you to explore in and around Bangkok, like these great ideas from Get Your Guide. Nicola from See Nic Wander has also written a great quick city guide to Bangkok which will get you started with your Bangkok exploration. Time to go and explore and experience it by yourself! Have you been to Bangkok? 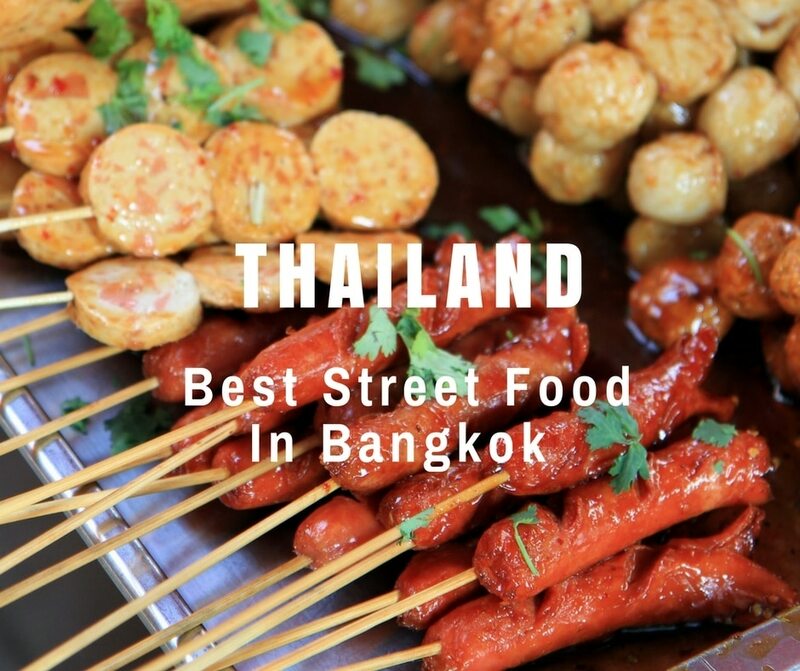 What’s your favourite Bangkok Street Food? P.S. After gorging on all that food in Bangkok why not head to an Island for some R&R. Our favourite is Koh Kood, read more via the following link.